Faced with dozens of sugar mills in Maharashtra defaulting cane payment wilfully amid expectations of relaxation from the Centre, the state government is planning to confiscate sugar in the supply pipeline from the factory gate to warehouses. Sugar mills, specially in Kolhapur, Sangli had offered to give sugar to farmers in lieu of cash. However, later on mills said they will give sugar which they will start producing now and not from existing stock. This had led to the state officials consider harsh actions. A number of co-operative and private sugar mills in Maharashtra have not paid sugar dues at all despite having crushed tonnes of cane during the four-month period of the current crushing season (beginning October 2018). This violates the Sugarcane (Control) Order, 1966, governing cane farmers and sugar mills. Under the law, sugar mills are required to pay 20 per cent of cane value at the time of procurement while the remaining amount needs to be cleared within 14 days failing which 15 per cent interest is applicable. Industry sources estimate that seven mills across Maharashtra including state cooperatives and private ones have not paid a single penny while nearly 40 mills have paid less than 20 per cent of the Fair and Remunerative Price (FRP). “Many mills in Maharashtra have issued public notices requesting farmers to register their demand with local agricultural circle offices in seven days effective February 6. We will wait for this period to get over. After that we would confiscate sugar in transit from factory gate to warehouse to be auctioned later at the price determined by the Centre, i.e. 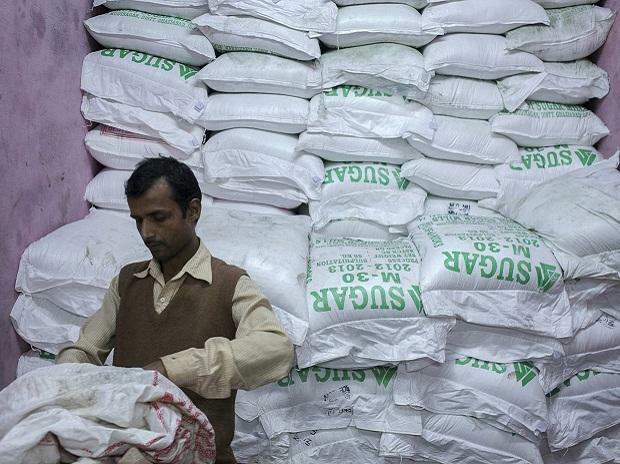 Rs 29 a kg,” said Shekhar Gaikwad, Sugar Commissioner, the government of Maharashtra. Interestingly, farmers with mounting arrears have been demanding payment. But, mills often say that they have mortgaged entire stock to banks to raise working capital. With cane arrears mounting to around Rs 5000 crore in Maharashtra alone, farmers and mills are at loggerheads. Facing pressure from farmers, the government of Maharashtra has directed district collectors to act harsh on defaulters. “It is not all the time that entire inventory is mortgaged to banks. Assuming that all the existing stock is held with banks, we are targeting sugar in pipeline to take control of and realize to clear cane farmers’ payment,” said Gaikwad. The government of Maharashtra is targeting mills in Kolhapur and Sangli districts where arrears kept mounting. Meanwhile, mills have offered farmers to accept sugar instead of money for arrears. Following directions, hundreds of farmers in Kolhapur and Pune districts reached the factory gates on Thursday to lift the quantity of sugar offered to them by their respective cane procurement mills instead of cane payment arrears. But, mills denied tendering quantity of sugar due to goods and services tax (GST) payment hurdle. Both mills and farmers exchanged heated arguments over who to pay 5 per cent of GST. While mill wanted to sell their inventory at the MSP of Rs 29 a kg, farmers wanted sugar price to be quoted lower to adjust excise duty. Meanwhile, farmers’ acceptance of sugar in lieu of remaining arrears is not workable due to legal hurdles. There is no such provision mentioned in the law as of now.